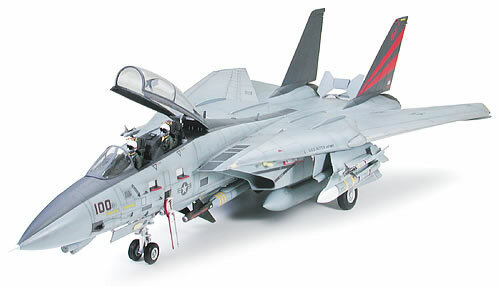 << Back TAMIYA "Grumman F-14A Tomcat Black Knights"
TAMIYA "Grumman F-14A Tomcat Black Knights"
Ever since its first flight in 1970, the U.S. Navy's F-14 Tomcat has been one of the best top Air Defense Fighter. 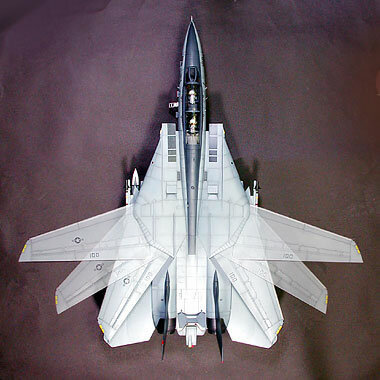 From 1990, in addition to its role as an interceptor, the F-14A, noted for its long range and superior weapons systems was designated as an air-to-ground strike plane. 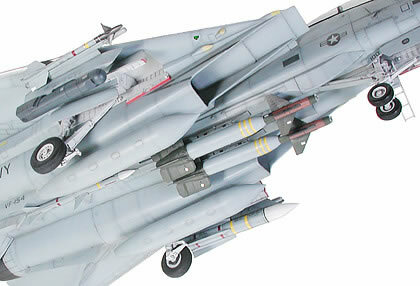 With this new role, the Tomcat was fitted with a new weapons arsenal. 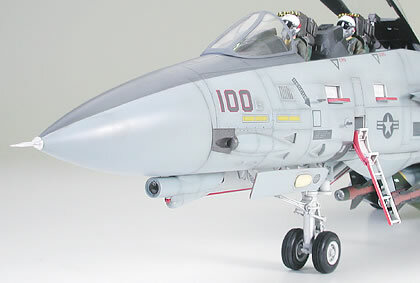 Since 1996, the F-14A employs the AN/AAQ-14 targeting pod, referred to as the LANTIRN. This targeting pod gives the F-14A precision bombing capability by procuring targets for nose-mounted infrared laser or other laser guided weapons. The AN/AAQ-14 targeting pod contains a high-resolution, forward-looking infrared sensor (which displays an infrared image of the target to the pilot), a laser designator-rangefinder for precise delivery of laser-guided munitions, target tracking software, and more. The LANTIRN, combined with GBU-16 and GBU-24 guided bombs, enables precision striking with a minute margin of error from several meters down to tens of centimeters. This precision can be realized at long-range. The VF-154 Black Knights is attached to the USS Kittyhawk, homeported at Yokosuka Harbor, Japan. The Black Knights were formed after WWII, and were deployed to both the Korean and Vietnam War. F-14A were employed with the VF-154 from 1984, and used extensively in Operation Desert Shield during the Gulf War in 1990. 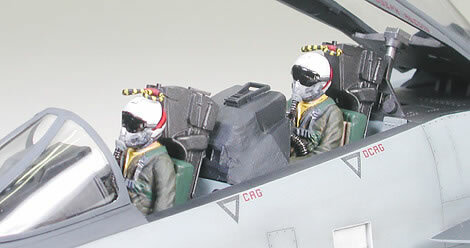 Fighter-Bomber Grumman F-14A Tomcat plastic assembly kit. Overall length: 598mm, Overall width: 612mm. The form of the aircraft has been accurately rendered. Kit employs metallic parts and screws to make the wing movable. 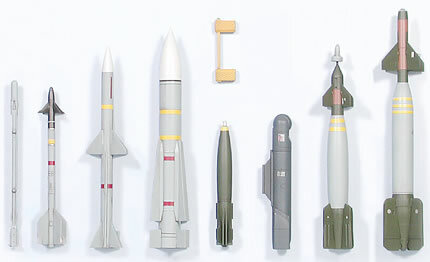 A full range of armament including Phoenix missiles, GBU-16 and GBU-24 laser guided bombs are provided as well as a AN/AAQ-14 LANTIRN targeting pod. Includes 3 figures, 2 pilots and a catapult officer, and decals for 5 aircraft.